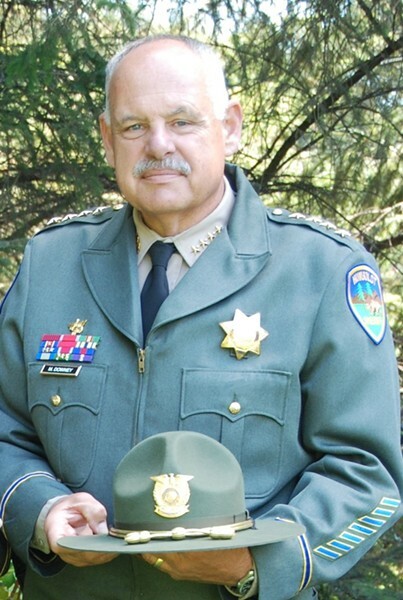 Humboldt County Sheriff Mike Downey is stepping down from his elected office in May. Downey’s term is up in 2018. He ran unopposed in 2014. While the release didn’t outline the process for his replacement, the county Board of Supervisors will now need to decide whether to appoint someone to serve the remainder of Downey's term or call a special election. Sheriff Michael Downey would like to take the opportunity to inform the citizens of Humboldt County of his intent to retire as Sheriff of the Humboldt County Sheriff’s Office, effective Saturday, May 6, 2017. Sheriff Downey stated this decision has been the most difficult he has had to make in his 31 plus years as a member and Sheriff of the Humboldt County Sheriff’s Office. Sheriff Downey is humbled and honored to have served as the Sheriff of Humboldt County for the last 6 years.